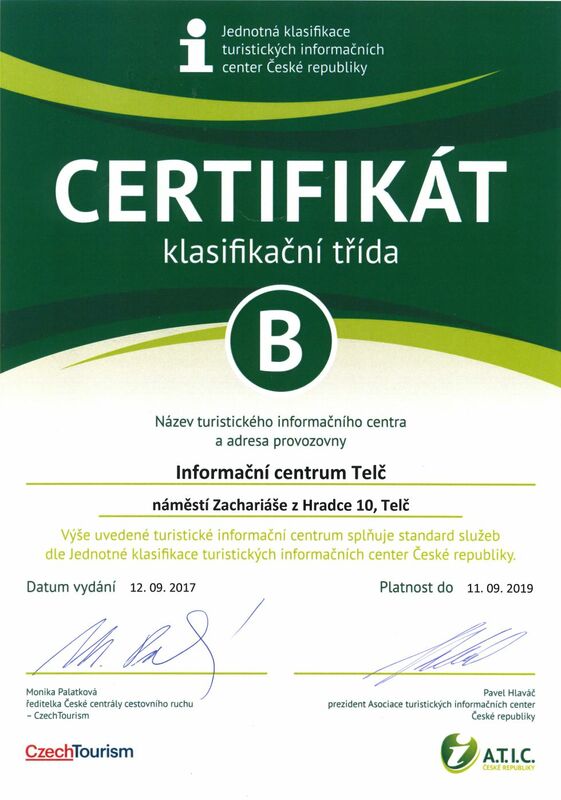 Information Centre is a member of The Association of Tourist Information Centres of the Czech Republic ATIC, fulfills all the conditions Category B and the conditions that The Czech Tourist Authority - CzechTourism set for inclusion in the database of the official tourist information centers. The mobile application with designation CLiCK it is offered the visitors of the town or the infocentre the complete service and all necessary informations about the town, more fully free of charge. For local donwload use only your mobile, turn on transmission bluetooth. Mobile application it is for use continuously. Download is possible in and in front of the infocentre (in Town Hall on Square of Zacharias of Hradec) by easy manual. Download and use of the apliccation is free of charge! The visit on web site m.lwi.cz/telc from your computer or mobile download the mobile guide throuth Telč. On mentioned page you find out all necessary informations. Have you the phone with a system Android? Download the mobile guide directly from Android market. 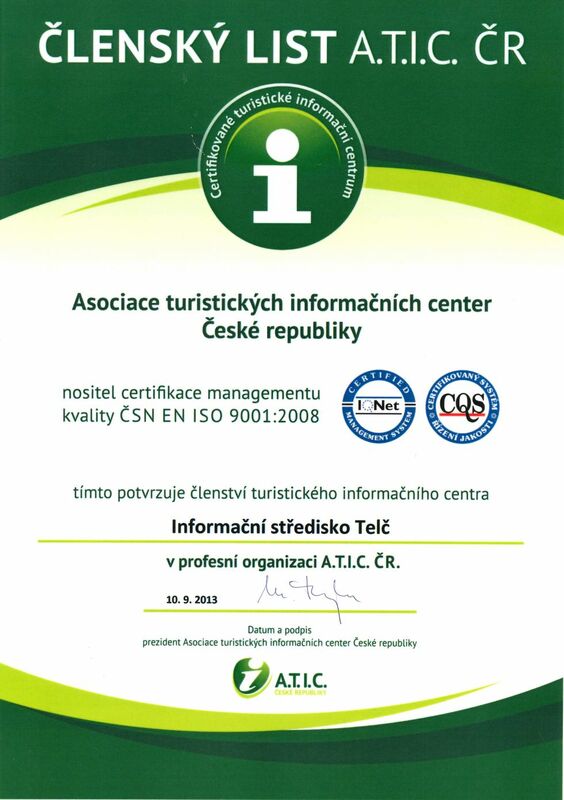 The town Telč and company LifeWeb Interactive, s.r.o. offer the application Mobile guide LifeWeb Interactive s.r.o. This project is supported by Regional Office Highland. The company LifeWeb Interactive s.r.o. operates this service. The next innovation of the electronic world is the audio guide, that it supports a development of a tourism in the town. Promotional and presentation materials are available for tourists. The project is directed at introduction of the town by historical personalities, who are connected with Renaissance form. The promotional materials are made into three versions. It is by European Union co-financed from European Fund for Regional development and Region Highland.